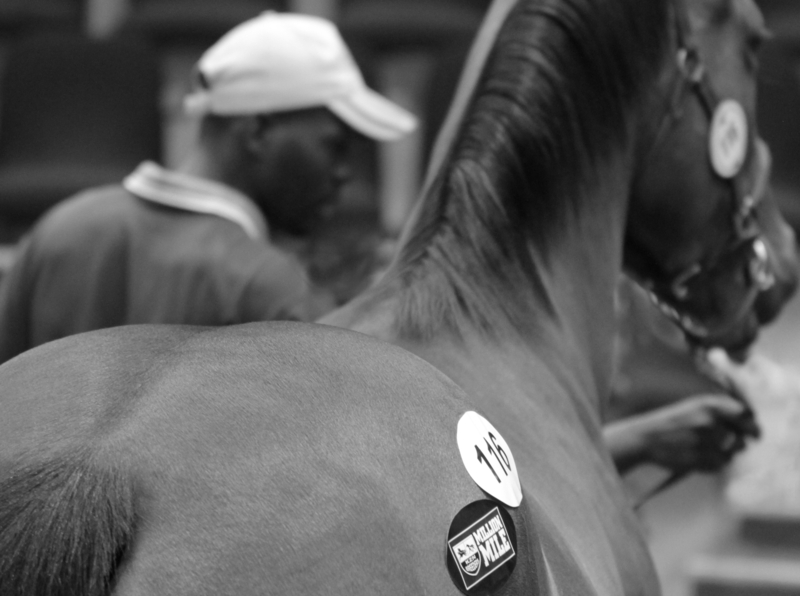 South Africa’s leading thoroughbred auction house have reinforced their longstanding commitment to the local racing and breeding industry by introducing a revamped 2018 sales programme, which incorporates a R2 million cash relief for breeders. Unveiling the 2018 sales roster at the opening of the National 2yo Sale at the TBA Sales Complex in Germiston, Bloodstock South Africa CEO Michael Holmes drew applause when he called on all stakeholders to stand together in trying times, adding that innovation, forward thinking and flexibility were required to ride out the current tough economic climate. “The TBA have been in existence for close on a century and South African breeders, besides their proven ability to produce world-class thoroughbreds, are known for their hardiness. We have endured a tough few years, but there is more than a glimmer of hope on the horizon on the export protocol front and our product remains a sought after one at home and on the world stage. We need to keep doing things right, even in the face of adversity, and we believe that a professional approach, and setting the right course for a tightly run ship will produce the required results in the medium term,” he said. Holmes went on to outline the newly introduced innovative financial relief measures applicable to the four major sales, which includes the dropping or reduction of entry fees, the reduction of sales commissions and sales costs on median priced horses being reduced by 30%. 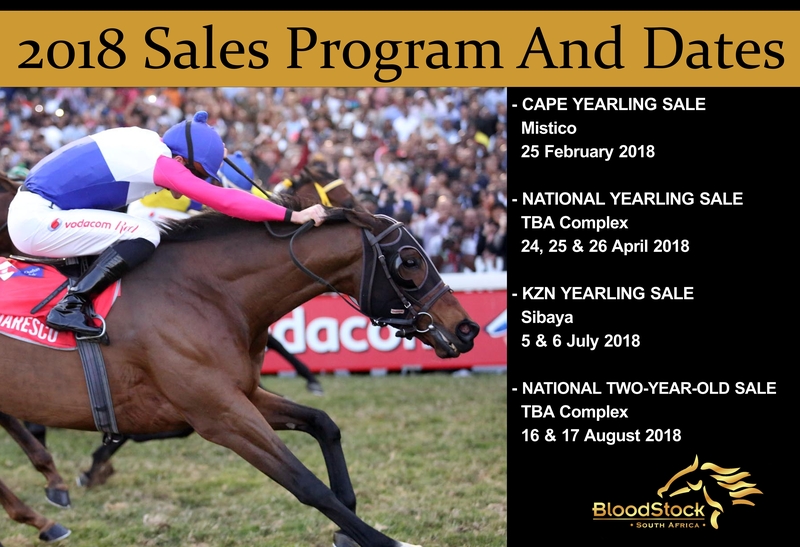 The Cape Yearling Sale will be held on 24 February 2018 at Mistico in Paarl, with entries closing on 15 October 2017. No entry fees would be charged, with acceptance fees at R2 500. Sales commissions have been reduced to 7%, while reserve commission will be set at 5%. 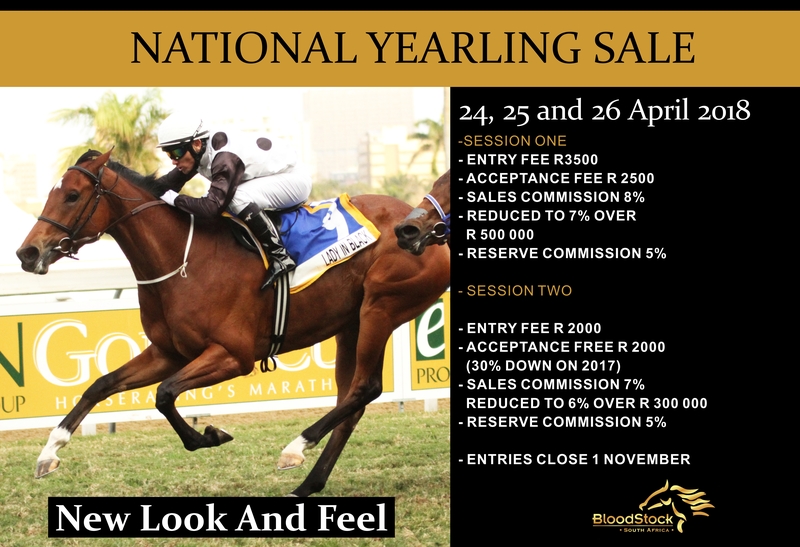 A two-session National Yearling Sale, with an exciting new look and feel, will be held on 24, 25 and 26 April 2018 at the TBA Sales Complex, with entries closing on 1 November 2017. Entry fees of R3 500 for session one and R2 000 for session two, with acceptance fees at R2 500 and R2 000 respectively, will apply. Sales commissions are 8% for session one (7% over R500 000) and have been reduced to 7% (6% over R300 000) for session two. A reserve commission of 5% will apply to both sessions. 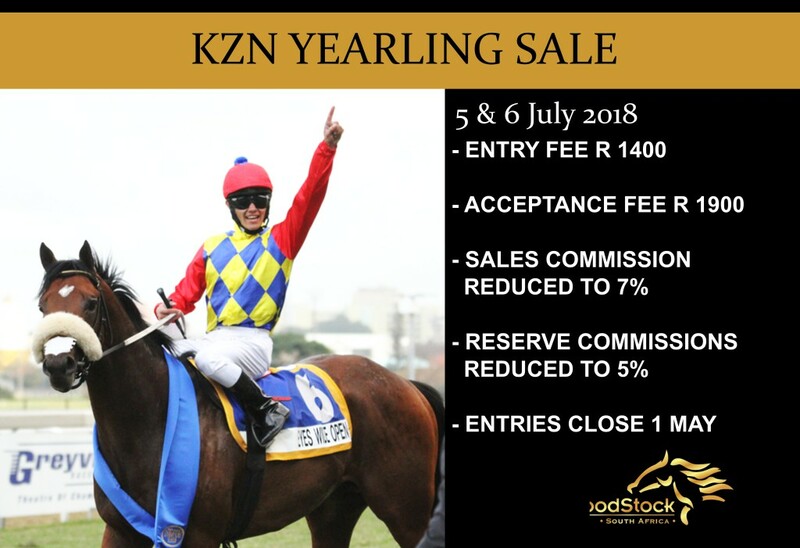 The ever popular KZN Yearling Sale will be held at Sibaya on 5 & 6 July 2018, with entries closing on 1 May 2018. Entry fees of just R1 400 will be charged, with acceptance fees pegged at R1 900. Sales commissions have been reduced to 7%, while reserve commission will be set at 5%. 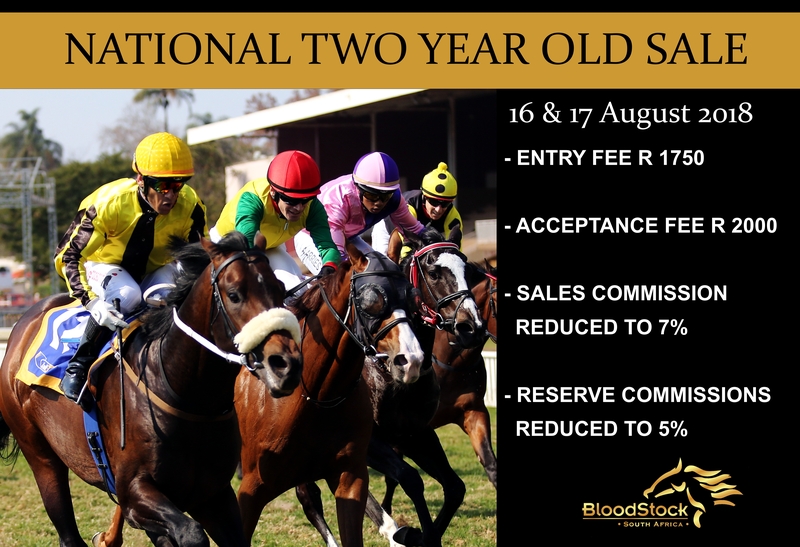 The National 2yo Sale will be held on 16 & 17 August 2018 at the TBA Sales Complex. Entry fees of R1 750 will be charged, with acceptance fees at R2 000. Sales commissions have been reduced to 7%, while reserve commission will be at a reduced 5%.